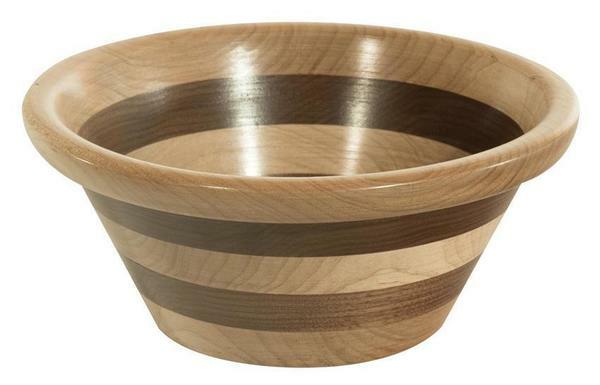 This handcrafted Decorative Striped Wood Bowl is available in three sizes. Choose the bowl size to fit your dining needs. Large: 10.25" Round x 3.75"
Medium: 9" Round x 3.75"
Small: 6.75" Round x 3"
This is not recommended for food consumption. Water may result in the wood warping and coming apart. Quality Takes Time – Typical Build Time for This Piece is 2 to 4 weeks.